Social media allows individuals and businesses the ability to reach a specific audience in real time. But, with their being so many different platforms, it can be difficult to create a consistent message and brand across each one. As social media continues to take eyes away from traditional marketing such as tv commercials and print, those managing social media accounts need to understand the different platforms’ intended user base and market/brand accordingly. Again, with there being so many different platforms, it is important to keep consistent with branding and what you are posting. With different platforms gaining popularity at different times, we have seen clients with different logos as their profile picture. This could deter those who may know you as one logo to not follow/friend your company page on a different platform. The overarching goal of social media is to increase your follower base, so you can get a message out to those you already know are interested in what you offer. With conflicting logos/ branding, this will hurt that effort. Another area where it is important to stay consistent is within posting itself. 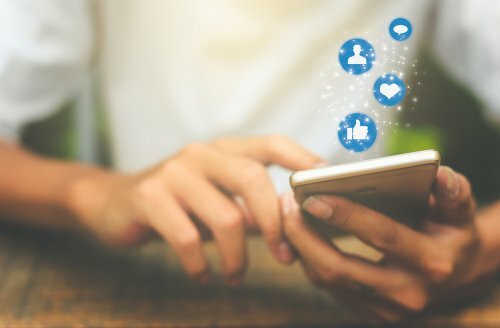 It can be difficult with different platforms having different criteria for posting but, there are platforms out there that allow you to connect most major social media. When you can post the same message across multiple platforms, you will be able to better understand and analyze the success of the post and adjust moving forward. Social media can be a great tool if you know what you are getting involved in. Each platform can offer different advantages in terms of either userbase, parameters of posting, and a variety of other data one can build upon once equipped with a following. Don’t dive into social media for your business just because it is the ‘trendy’ thing to do. When you understand what the platforms function truly is, in comparison to your business and industry, then you can decide if managing a social media account within a specific platform is a good use of your time. Defining success within social media can vary due to industry or type of business. If you are strictly attempting to build brand awareness within the local community, social media is a great option. If you have a product that is in demand for a platform’s user base, then absolutely pursue a social media marketing strategy. There are many more examples on how and why it can be important to implement social media into your business but before doing so, understand why it’s important to your business and define what success looks like! As mentioned earlier, Boston Web Marketing has seen the presence of social media grow into the business sector. If you feel your business could benefit from professionally maintained social media accounts, give us a call today! Our team of SEO specialists have experience in tailoring social media accounts to a company’s user base, growing connections, and building brand awareness. Call Boston Web Marketing today or fill out a convenient online contact form!